The Vapamore MR-1000 Forza Steam Cleaner will allow you to clean carpets, car mats, seats, headliners, dashboards, house hold items, floors, tiles and more in very little time. Best of all it completes this thorough cleaning without leaving everything soaking wet! 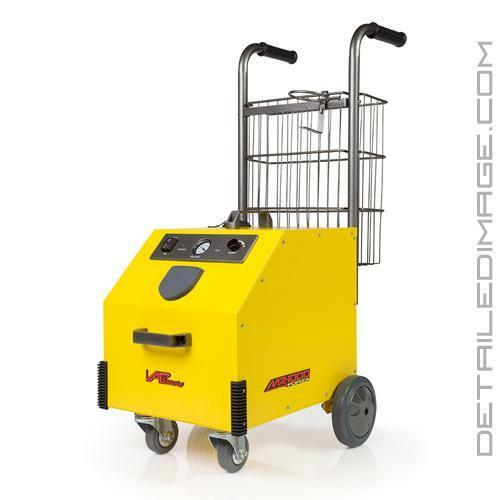 By utilizing adjustable high-temperature steam and no chemicals at all, the MR-1000 cleans and disinfects interior or exterior surfaces with ease. 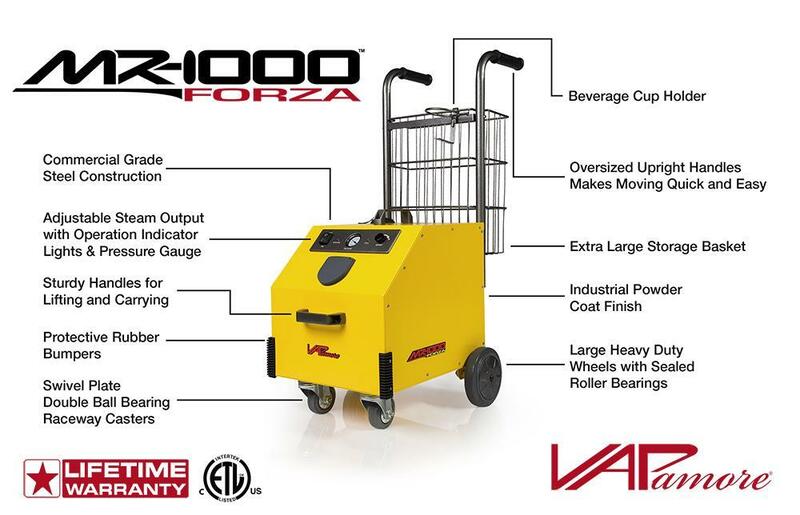 The Forza features custom Italian manufactured CEME brand internal components with commercial grade powder coated steel construction, continuous steam flow, computer controlled operation, and a huge selection of accessories and attachments (full list below). A specially designed extra large stainless steel boiler with 1700-Watt heater and 90 psi steam output enhance the power and execution of this great steamer. MR-1000 is built for lifetime use and carries a manufacturer lifetime warranty on the boiler and anything internal. 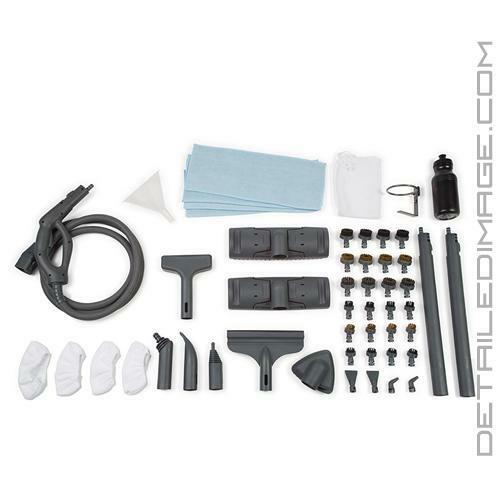 There is a 1 year warranty on the parts like the steam gun hose, floor heads, etc. For more information check out the Vapamore Lifetime Warranty link in the Product Downloads section below! If you are looking to clean various services safely and easily the Vapamore MR-1000 Forza Steam Cleaner is for you!